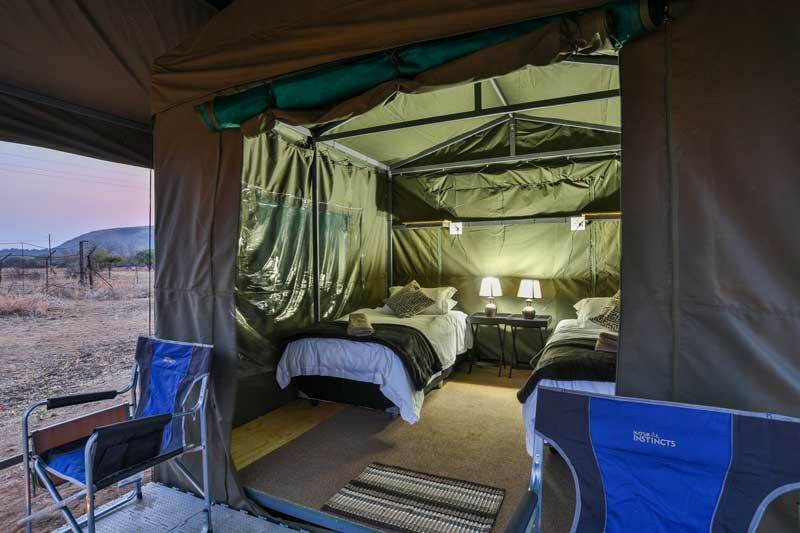 Tented Adventures Pilanesberg offers safari tents for those looking to get closer to nature in an affordable way. 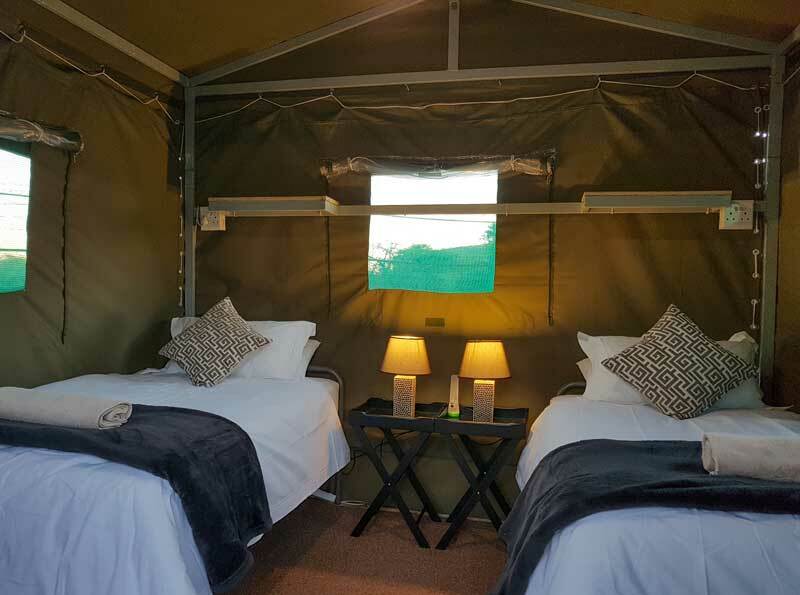 Passionate safari guides host your unforgettable bush experience where animals such as warthogs and banded mongooses often come to visit the camp. 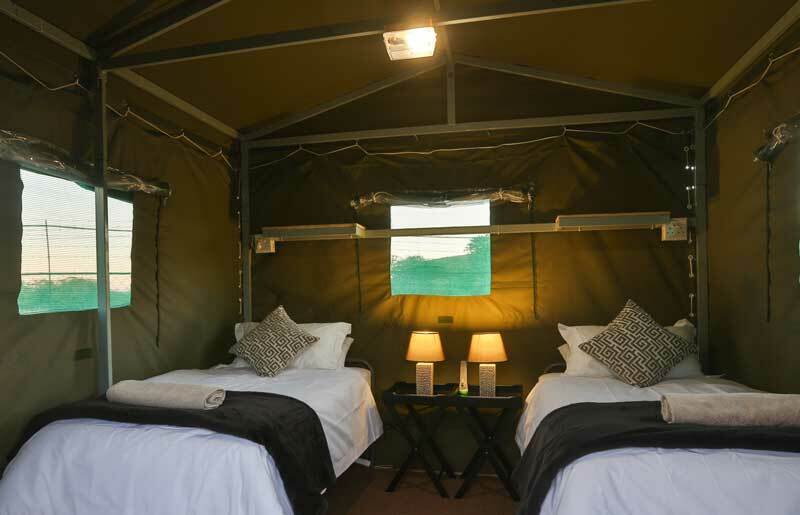 The Camp is annexed onto the beautiful Manyane Resort, and is made up of eight safari tents; each equipped with comfortable beds, luxurious linen, camp chairs, electricity, carpeted flooring and large windows with mosquito nets. 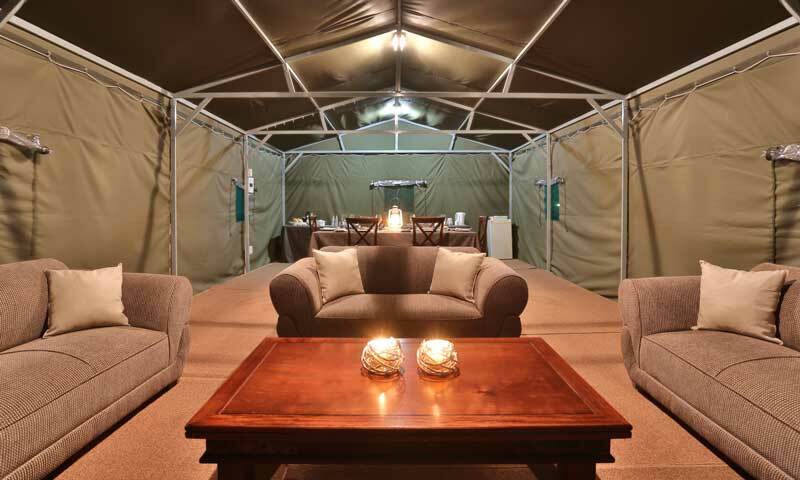 There is a sizeable tented lounge and dining area with a fire pit, and each tent has a small deck looking out onto the fire pit. 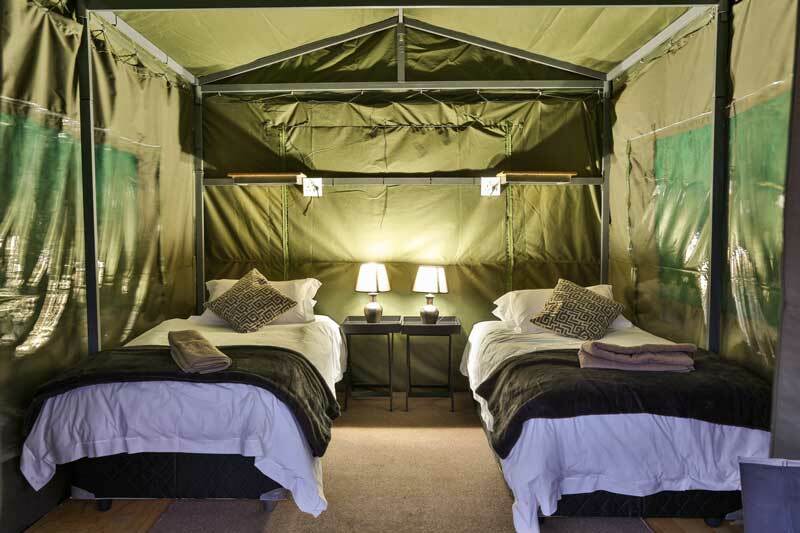 The bathroom facilities are shared with the adjacent campsite, and both these and the safari tents are serviced daily. 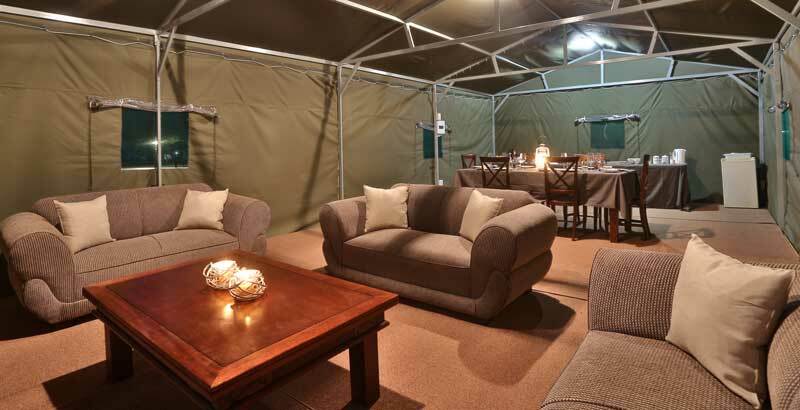 Your stay includes a full English and continental breakfast buffet, and a braai buffet for dinner – passionately prepared by your hosts. 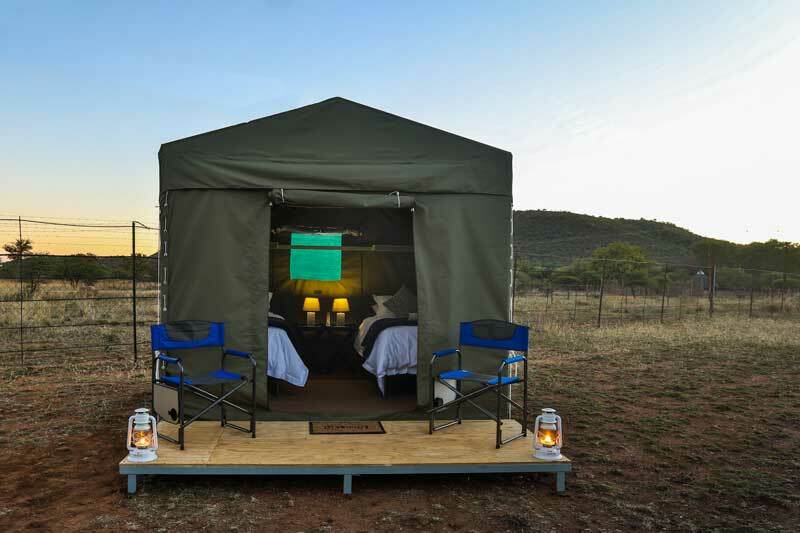 Tented Adventures Pilanesberg offers an intimate and personalised experience for those looking for a pocket-friendly camp without sacrificing their comfort. 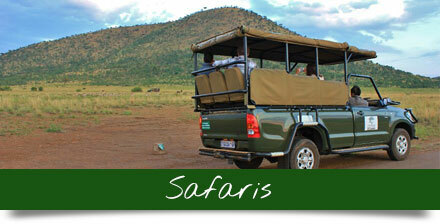 Every morning and late afternoon you’ll head out for a game drive with the experienced guides. In your downtime, read a book under a tree, chill out in the communal area or head to one of the pools in Manyane for a cool-off swim. 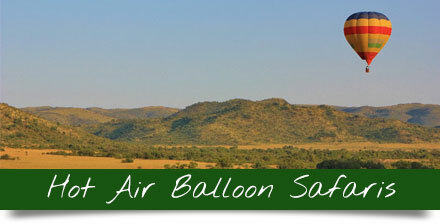 Extra activities include guided walks, spa treatments and hot air balloon rides – are available at the adjacent Manyane Resort. 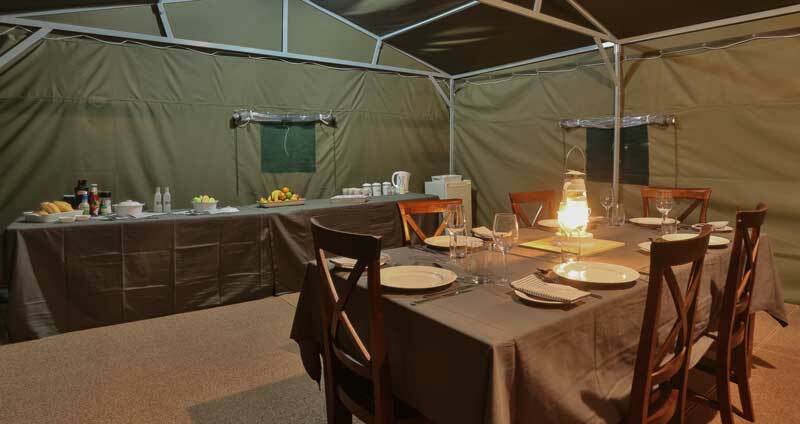 You can also visit the nearby cultural museums, heritage sites and even the famous Sun City. 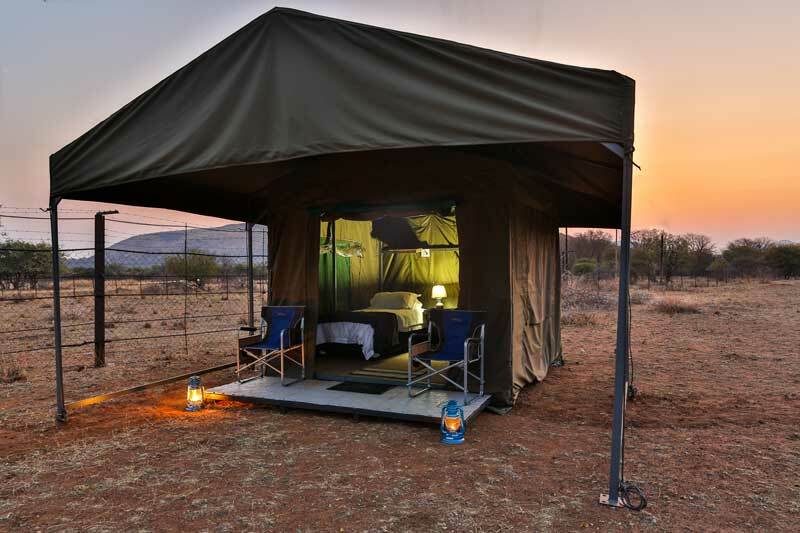 Tented Adventures Pilanesberg is located close to the Manyane Gate in the eastern part of the Pilanesberg Game Reserve. 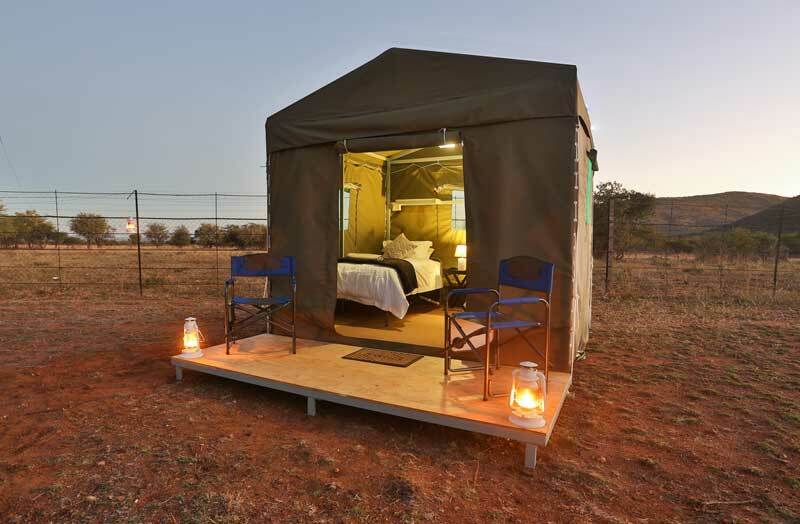 You can reach the lodge in less than three hours from Johannesburg and the glamorous Sun City is only a short drive away. 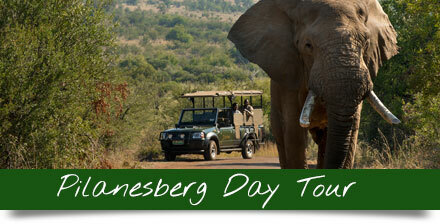 From Johannesburg take the N4 towards Rustenburg and turn off towards Sun City on the R556. At a four-way stop take the R510 towards Mogwase. 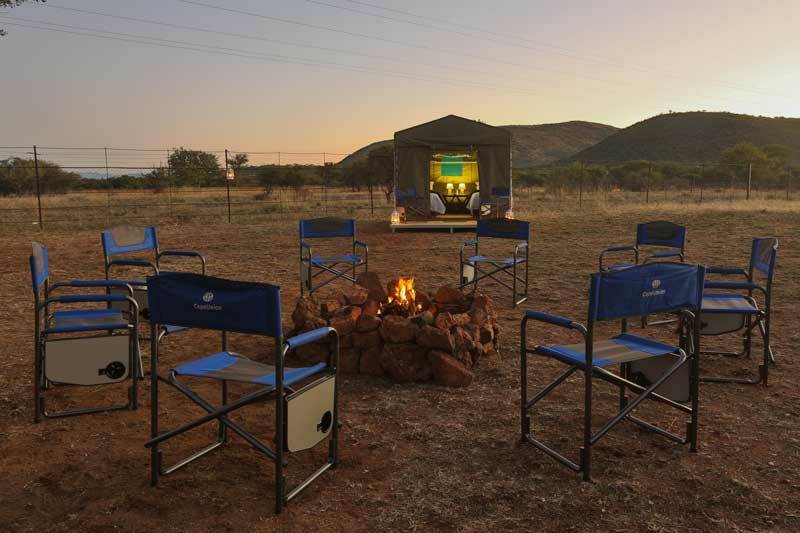 Follow the signs to Pilanesberg National Park and the Manyane Gate. 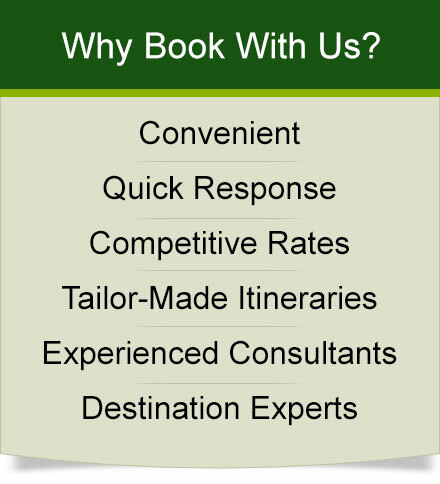 No specials are currently available, please check our Specials page for other amazing deals.